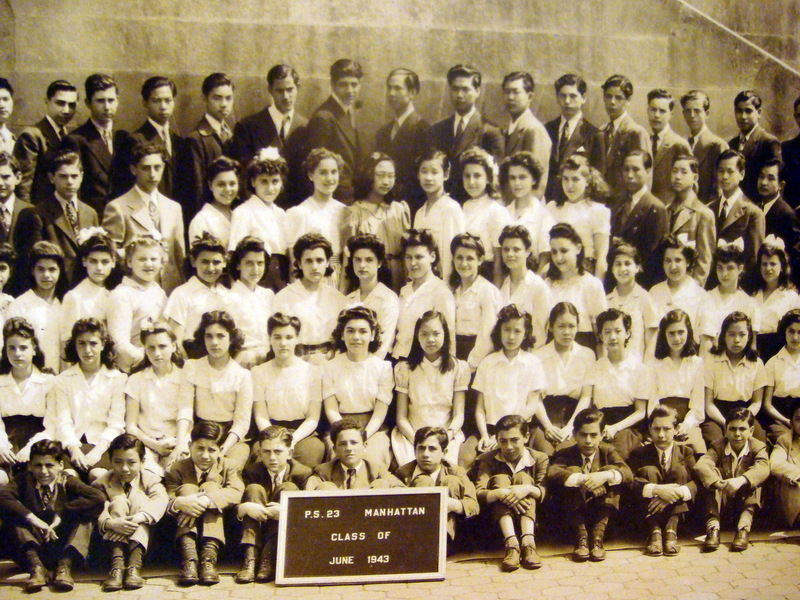 Attached are 4 photos of the PS 23, Class of 1943, at Columbus Park. 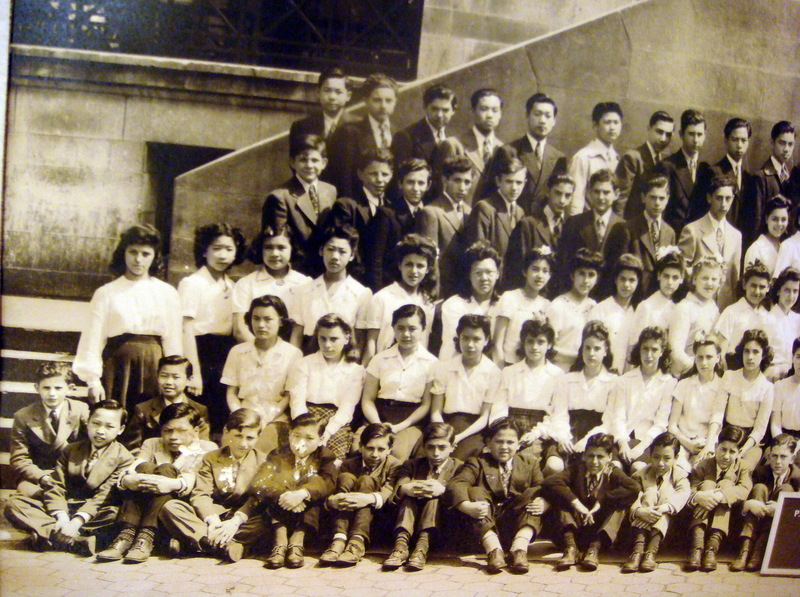 One is a photo of the whole class. Each of the other 3 is an enlarged portion of about 1/3 of the group and together will include everyone with some overlap. 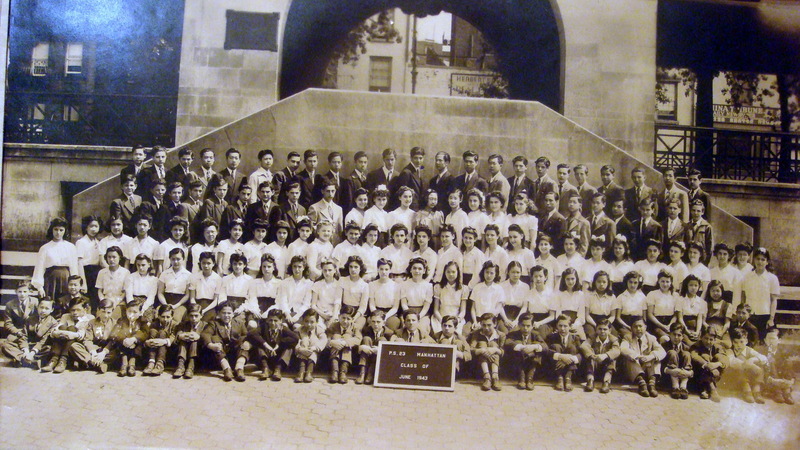 In the 2 spreadsheets, arranged to match the orientation of the students in the photos, the columns are labeled 1- 12 and 13-24 respectively starting from the left. The rows are labeled 1 to 5 starting from the top. 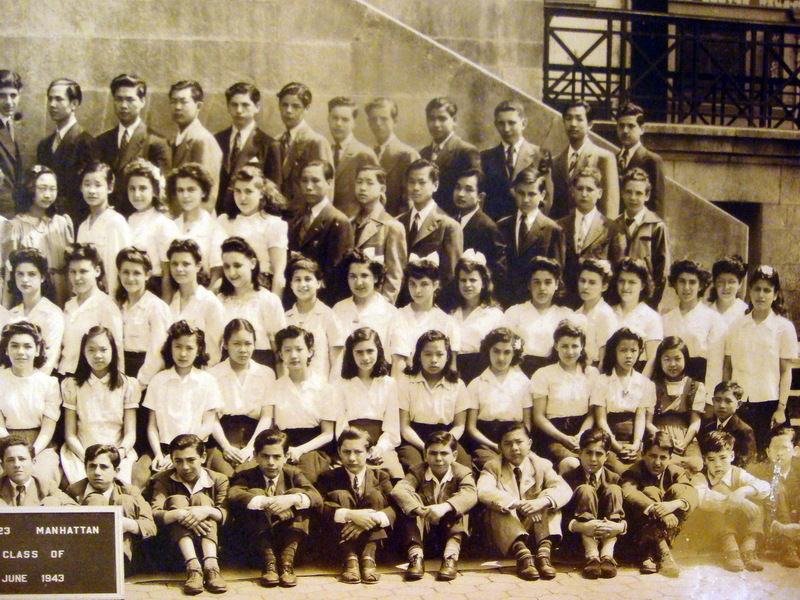 There are 5 rows and a maximum of 24 students (columns) across each row. I entered the names of the Chinese students that I can recognize. Can anyone add or correct any names ? Also, if anyone knows about the eventual profession of any of the students, please contribute that info.